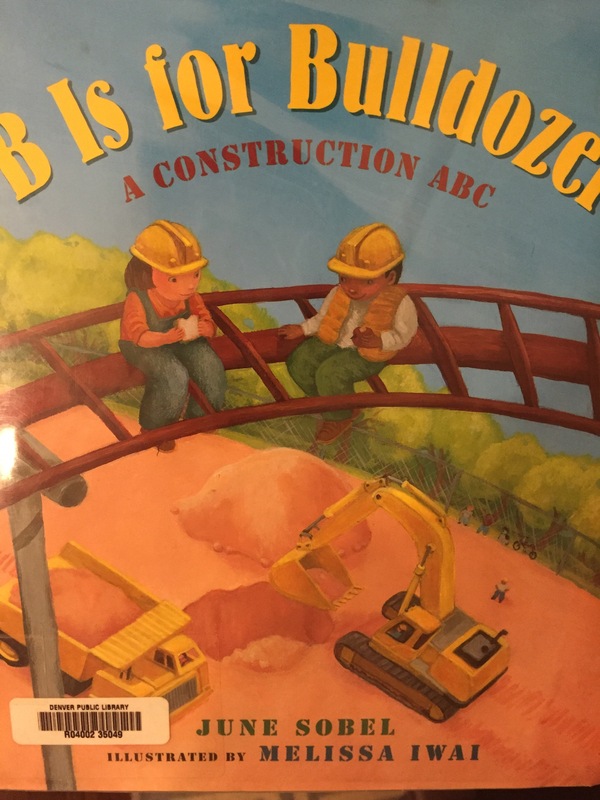 My son is in love with trucks, cars, and construction machinery…every time we pass a bulldozer, train, bus, etc… he excitedly yells the name from the backseat of the car and looks for more. We have quite a few books about fire trucks, trains, planes, etc… and I have noticed there is such a lack of women in these books. 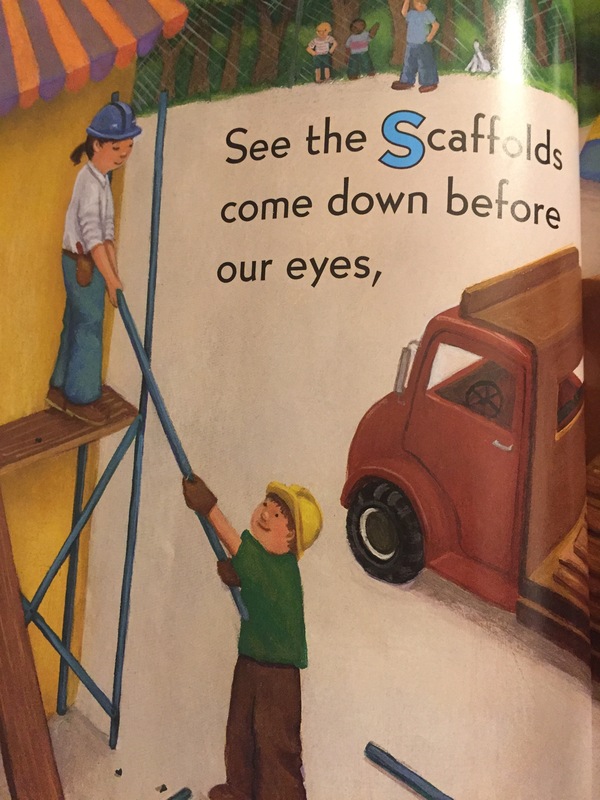 When reading to C he will point out all the boys and daddies in his books and I will try to find the most gender neutral looking characters and pretend that there is a Mommy or a girl in some of his construction books. 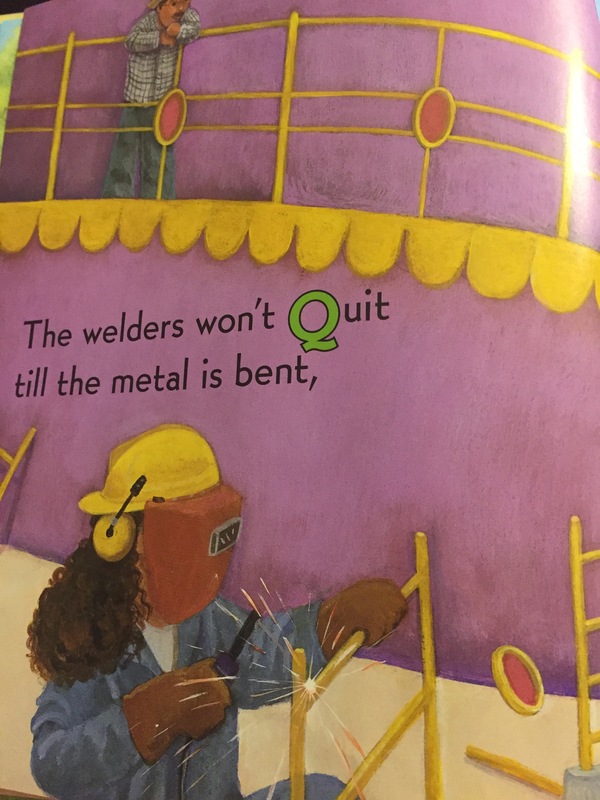 We recently found this gem of a children’s book at the library. Nothing makes me happier than seeing a woman featured on almost every page, and doing the same work the men are doing. 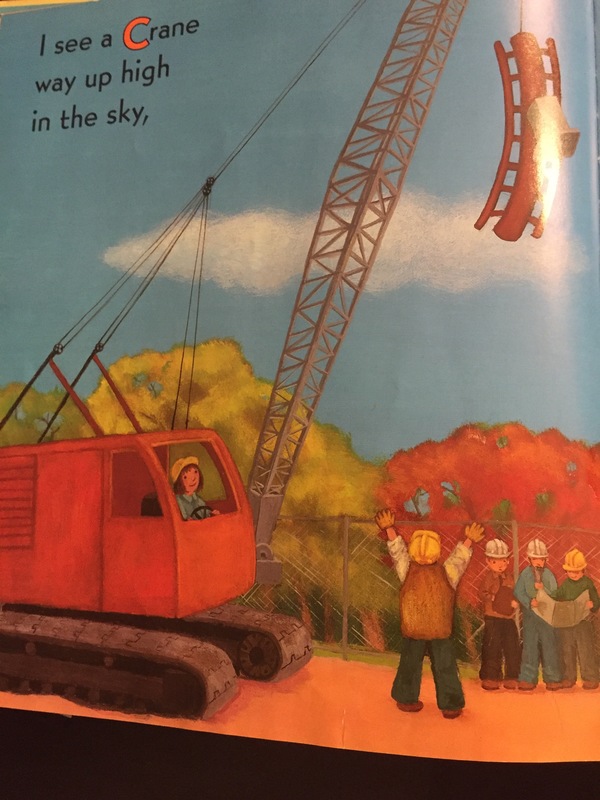 I love hearing my son shout “Mommy” when he sees a woman driving a bulldozer and crane.